Love this idea! 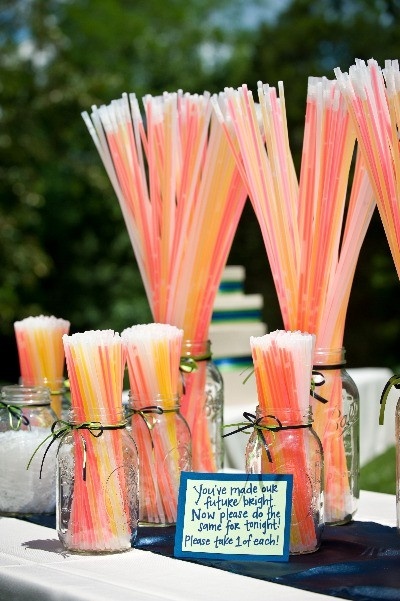 Wedding Glow Sticks! Awesome pictures from the dance floor with everyone waving them around or as a fun alternative to sparklers for your exit picture.